Chitkara International School was awarded the district level Swachh Vidyalaya Puraskar 2017 in the subcategory of toilet with a score of 100% with 5-star rating. The award was felicitated by Ministry of Human Resource Development, Government of India under the initiative ‘Swachh Bharat Swachh Vidyalaya’ (SBSV). The initiative has its emphasis on promoting safe and appropriate hygiene practices in schools and behaviour among children. 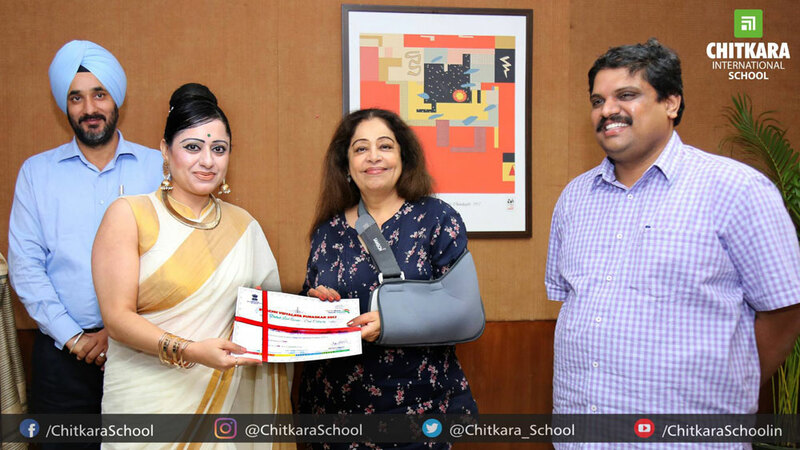 Member of the Lok Sabha and Indian actress Kirron Kher accorded the award to the school principal Dr Niyati Chitkara. The school was commended for sanitation, hygiene, rainwater harvesting and other operations of the school. This award marked the school’s philosophy to cultivate cleanliness and sanitation in the school premises in a comprehensive way. CIS is persistently set out to work with an invocation to maintain the highest standards of cleanliness.